Performers include: Dakota Lotus, Ruby Rose Turner, Olivia Sanabia, Albert Tsai, Paxton Booth, and Rebecca Metz. From creators Boyce Bugliari and Jamie McLaughlin, the Coop & Cami Ask the World TV show is a live-action comedy for children and families. 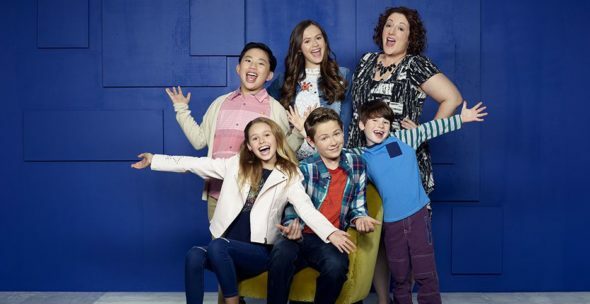 The series centers on middle-school aged brother and sister Cooper (Lotus) and Cameron (Turner) Wrather, who co-host a web series. On their show, Would You Wrather, the siblings introduce unusual questions and results to their millions of followers, who go by the fandom name of Wratherheads. Together with their fans, Coop and Cami work to solve the problems of life, from the serious to silly. They’re not on their own though. Their little brother, Ollie (Booth), and Coop’s best friend, Fred (Tsai), are always on hand to help, no matter how hectic things get in the Wrather homestead. The family also includes big sister Charlotte (Sanabia), and their mother Jenna Wrather (Metz). No matter the questions or results at hand, Coop and Cami do their best to address everyday issues with humor and heart. What do you think? Do you like the Coop & Cami Ask the World TV series? Should this Disney Channel TV show be cancelled or renewed for another season? More about: Coop & Cami Ask the World, Coop & Cami Ask the World: canceled or renewed?, Coop & Cami Ask the World: ratings, Disney Channel TV shows: canceled or renewed?